Spain is rich in history. 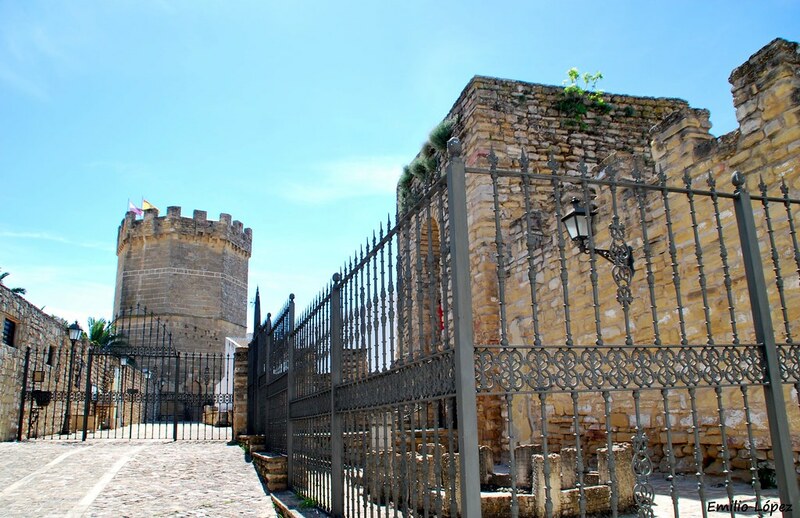 And it’s in Jaen where lovers of Middle Age, culture and architecture can take revel in the imposing fortresses that used to protect the inhabitants of its land. Jaen is the European province with the highest density of castles. Besides, it was in its surroundings that two of the most important battles in the history of Spain occurred: the battle of Bailén in 1808 between the Napoleon’s French Empire and the Kingdom of Spain, and Navas de Tolosa in 1212, which led to a faster Reconquest of the Peninsula by the Christians. 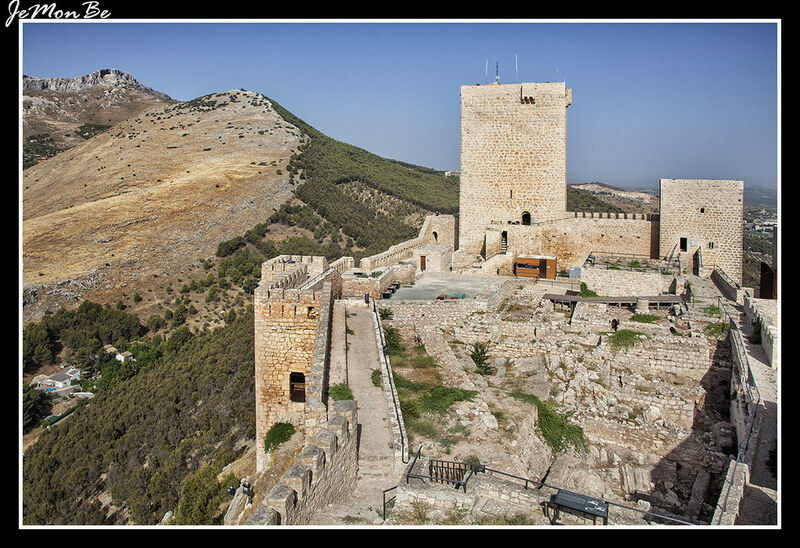 Don’t put back a visit to western Jaen province and discover the Route of the Castles of Jaen: a thrilling itinerary to learn the history of Spain. The best option is to start in the north of the province and then proceed to the south, following an off-the-beaten-track, rural route winding through the most-extensive olive-yard area in Spain. So, if you’re wondering which the unmissable castles are, how much the tickets cost and when they open, go on reading! This museum lies in the Natural Park of Despeñaperros, where the 1212 battle of Las Navas de Tolosa took place between the Christian troops led by Alphonso VIII and the Moorish forces. The victory of the Christians started the decline of the Moorish kingdom in Spain. The museum welcomes a permanent exhibition about the Battle, where you will discover how the battle happened, the camps, the weapons and much more thanks to modern installations. You will also have the chance to engage in a hike around the Natural Park of Despeñaperros (€5 on Sundays, check for other days). The castle of Vilches is located on a hilltop in the homonymous town; from its top, you can enjoy some tremendous views of the surrounding natural parks. The castle is accessible for free. Only if you’re planning a guided tour, you’ll have to book in advance. Located in Baños de la Encina, a town in the northern area of Andalucia, this castle is one of the most charming Moorish military fortresses in Spain, which dates back to the 10th century. One remarkable feature of the castle is that all the walls, which are still perfectly preserved, were built only with sun-dried mud bricks. Its construction was ordered by Caliph Al-Hakam II, son and successor of great Abderramán III. The oval-shaped fortress is provided with 15, square-shaped towers. The closest to the town was altered by the Christians after the Reconquest, to convert it into the Homage Tower. The most noteworthy feature of this tower, however, is the horseshoe-shaped entrance door. 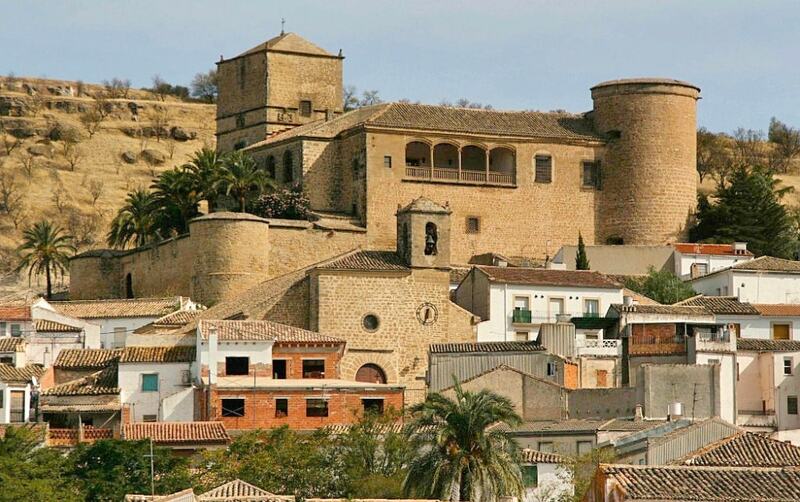 Moving towards the south and the city of Jaen, the town of Bailén is well worth a stop. The village is known for the 1808 Battle of Bailén between Napoleon’s French Empire and the Kingdom of Spain. The loss of Napoleon’s troops led to the withdrawal of Madrid by Napoleon’s brother, James Bonaparte I. The museum of the town features a permanent exhibition displaying the antecedents and consequences of the battle, as well as the development of the battle itself. 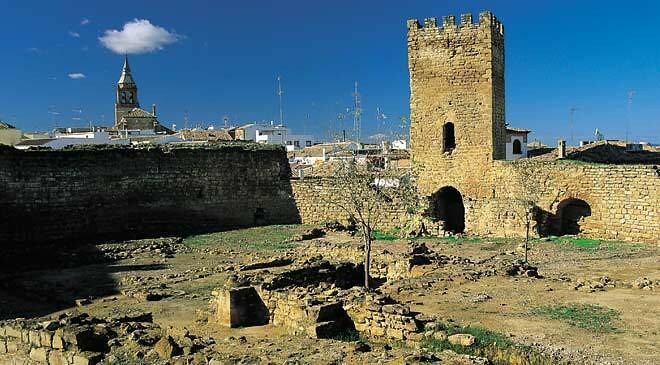 Located in the town of Arjonilla, this castle is related to the legend of the unfortunate love between the young troubadour Macías and Doña Elvira, which inspired two Spanish novels: Lope de Vega’s “Porfiar hasta morir” and Mariano José de Larra’s “El doncel de don Enrique el Doliente”. The castle can be visited from Monday to Friday, from 9 am to 2 pm, and from 7 pm to 9 pm. On weekends, bookings are necessary to visit the castle. This is one of the most important castles of the Route of the Castles. The Order of Calatrava built it, a military order founded in the Kingdom of Castile. The castle still maintains the original walled-perimeter, and since its construction, it’s been used as a residence and even a winery. Saturday and Sunday: 11 am – 2 pm. Visits are upon bookings. The tower and walls of Boabdil are located in the town of Porcuna, and they were built in the 15th century by the Order of Calatrava. 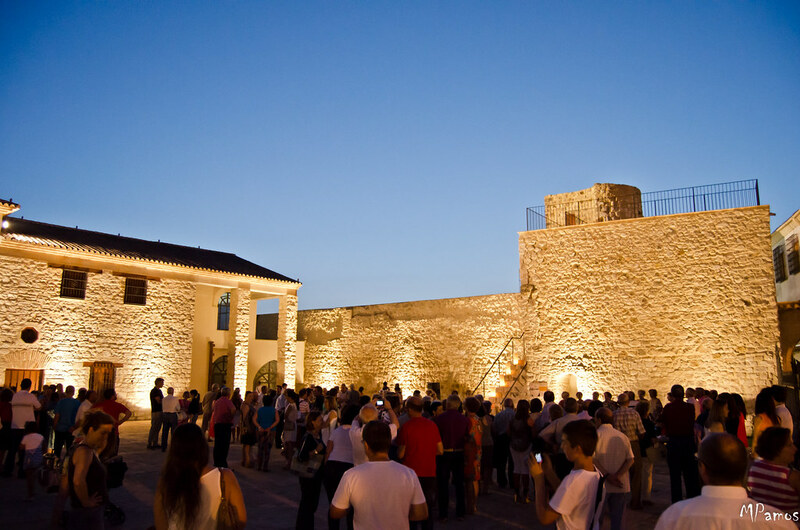 Inside the tower, you can visit a museum displaying the richness of Porcuna and its history. A legend related to this tower has it that the last king of Granada, Boabdil (to whom the tower owes its name) was held prisoner after the battle of Lucena, which saw the defeat of the Moorish troops led by Boabdil himself. During its 800-year long life, this castle welcomed the writing of the first book about the art of bullfighting, and it was converted in the see of an olive-oil producer, as well as a residence of a noble family of the area in the 16th century. 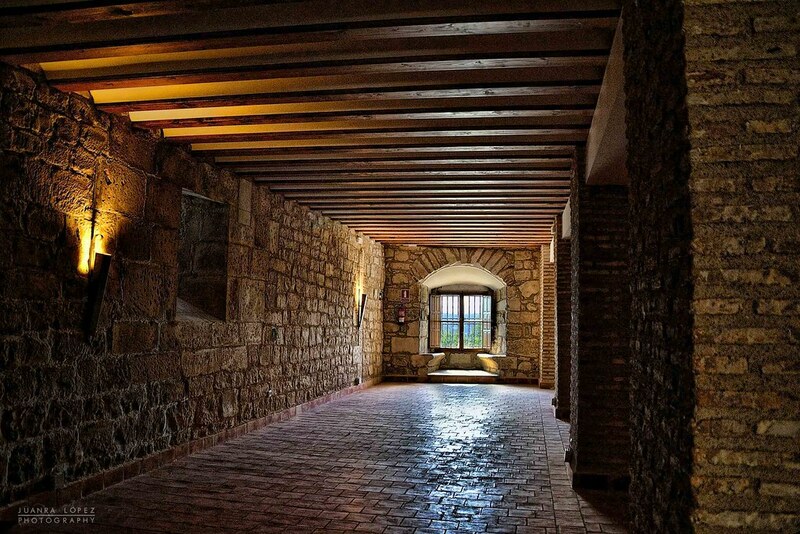 The museum in the castle’s interior is about Spain’s second-biggest Visigoth treasure that was found near the town of Torredonjimeno in the 20th century. The Castle of Santa Catalina lies on a hilltop (El Cerro de Santa Catalina) in the city of Jaen, thus rejoicing in some staggering views of the city and the province that leave all the visitors overwhelmed. This Medieval-Christian fortress lies in the Sierra de Jabalcuz, 820 metres above sea level. It’s actually a three-castle compound, and it was highly relevant during the Independence war. This castle is one of the best examples of the Order of Calatrava’s power in Spain. In fact, it was in the Castle of Alcaudete that King Ferdinand III charged the Order of Calatrava with protecting the West border of the Kingdom of Jaen. The castle has been completely renewed, and it welcomes an exhibition hall where you will have the chance to learn the historical evolution and the period when the knight-monks of the Order of Calatrava lived in the castle. The fortress was erected on Roman and Visigoth archaeological remains in the 8th century by the Moors, at 1,033 mt above sea level. In the 13th century, during the Catholic Reconquest of Al-Ándalus, the castle was attacked by Alphonso VIII, Ferdinand III and Alphonso X. Alphonso XI was the only king that managed to conquer the castle, in 1341. Until the 17th century, the fortress was the actual town of Alcalá La Real, which later expanded on the surrounding hills. Nowadays, the fortress’s church tower rises above the fortified walls and overlooks the whole town of Alcalá La Real. The castle of Navas de Tolosa is composed of the archaeological remains of the castle built during the Moorish Kingdom in the Iberian Peninsula, which was partially destroyed in 1473 when the border of the Kingdom of Spain with the Kingdom of Granada disappeared. The ruins of this castle belong to what was once one of the most important Ibero-roman cities in the Peninsula. The castle was built between the 11th and 13th centuries, but at the end of the Middle Age, it was abandoned and its ruins used to build the spectacular nearby towns of Ubeda and Baeza. Near the renowned towns of Ubeda and Baeza, there lies the Castle of Canena, one of the best castles in Jaen province. Its original Moorish construction dates back to the 12th-13th century. 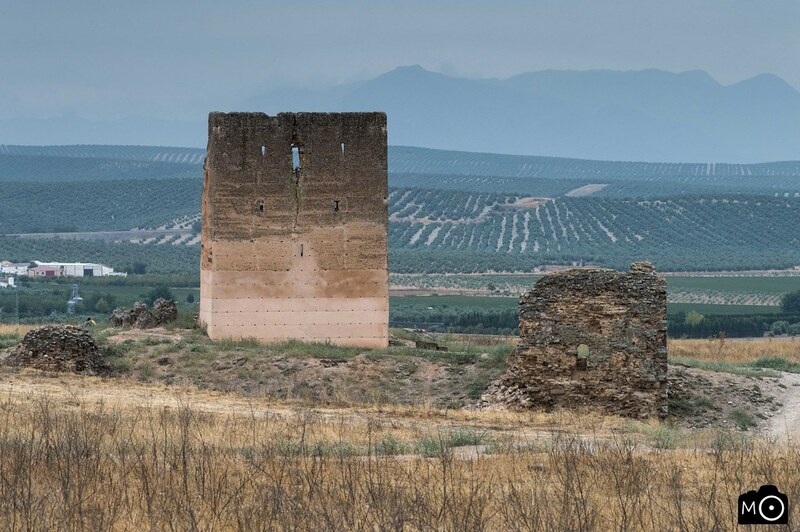 It was conquered by the Order of Calatrava and then bought by Francisco de Cobos, Charles V’s secretary and a leading figure in the Renaissance-process that invested the province of Jaen in the 16th century. De Cobos had architect Andrés de Vandelvira remodel the castle following the Italian Renaissance style. Therefore, the richness of this fortress resides in different architectonic styles coming together. Its square-shaped floor is decorated with round-shaped towers in its corners. The castle is characterised by an indoor covered patio and gorgeous galleries. You can visit this National Monument (declared in 1931) for free on Mondays from 4 pm to 7 pm. As a curiosity, the Castle belongs to the homonymous private company that produces and sells extra virgin olive oil. 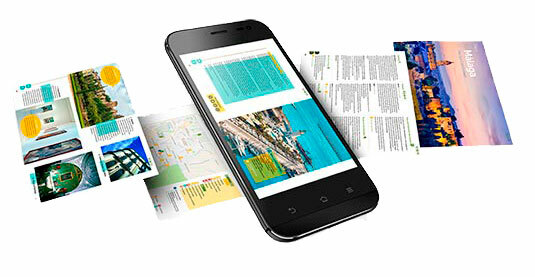 You can visit the company by contacting them here. Very close to Ubeda and Baeza, the castle of Sabiote is the most important fortress of the region. It was built in the 16th century, and its structure follows the patrons of the Italian art. The stark outdoor walls were constructed to ensure complete resistance to the attacks and fire shots. On the contrary, its indoors welcome splendid details and extremely cared-for features, the most noteworthy of which is the double-gallery patio. In the Sierra de Cazorla you will find this fortress on a hilltop, which was used as a military fortress until the 15th century, and then converted into a cemetery. Thanks to its architecture and beauty, this castle was declared Historic-Artistic Grouping in 1985. The province of Jaen defined the history of Spain, mainly thanks to the battles between the Muslim and Christian kingdoms that took place here during the centuries. 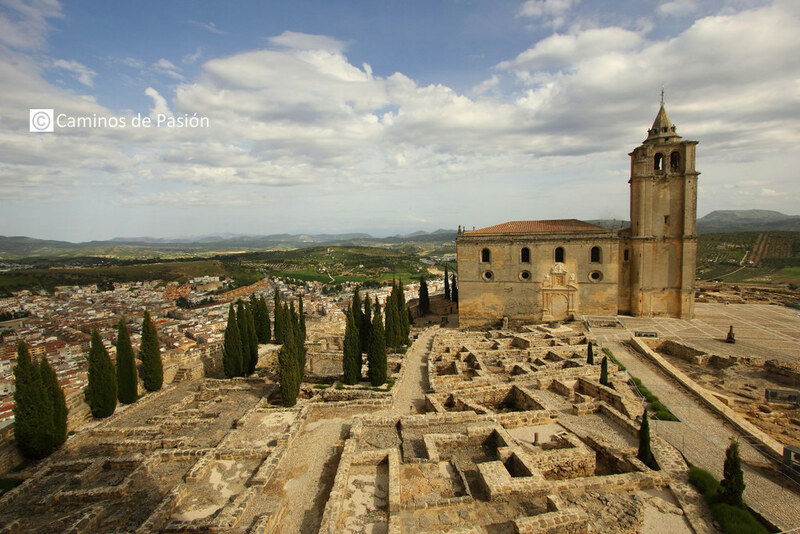 The Route of the Castles of Jaen is the fittest way to discover the history of Spain. 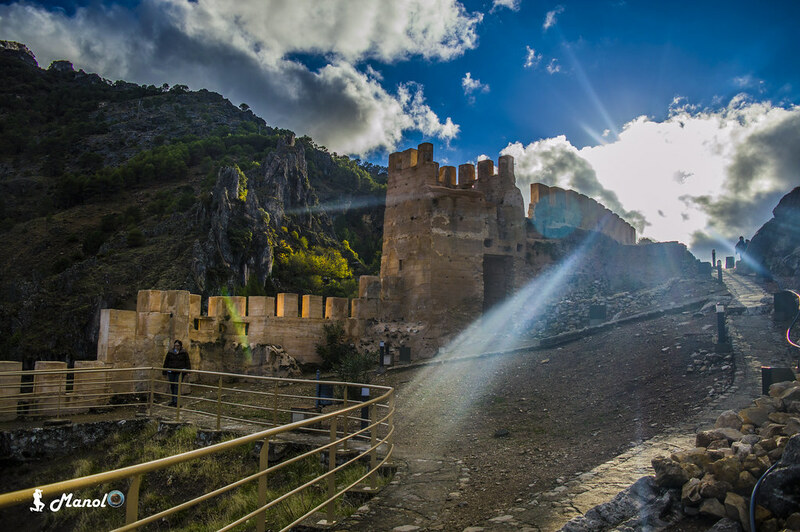 As you enjoy the Route of the Castles of Jaen, you may want to relax in a lovely natural setting, among the olive yards and the smooth hills that characterise this Andalusian province. Therefore, take a look at some of the best holiday villas near Jaen by clicking on the button below. Don’t forget to check the opening hours of each castle, bring some water and snacks, and most important, your camera to capture all the splendid corners of the castles that are spread in Jaen province. Why Should You Travel to Andalucia in Winter? San Juan in Andalucia: how is it celebrated?